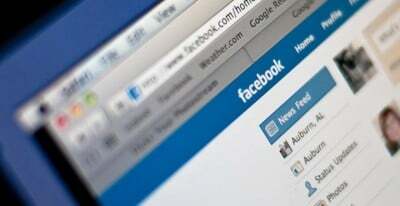 “Facebook Inc said on Wednesday it had found that an operation likely based in Russia spent $100,000 on thousands of U.S. ads promoting divisive social and political messages in a two-year-period through May. This Ukrainian coup started being planned inside Obama’s U.S. State Department, and with the heavy top-level involvement of Google Inc., in 2011, during U.S. Secretary of State Hillary Clinton’s time heading the Department. The decline in approval of Russia by Americans, as measured by Gallup, started becoming clear in February 2013, when the 50% favorable and 44% unfavorable rating of Russia the prior February (2012), reversed into 50% unfavorable and 44% favorable (2013). Then, the unfavorable rating soared: to 60% in February 2014 (versus 34% favorable), 70% unfavorable (and 24% favorable) in February 2015, and then stable thereafter, till at least February 2017. During this period — basically the second Presidential term of Obama — some of the ‘news’ stories against Russia were justifiable on the basis of the facts (especially the performance-drug doping of Russia’s Olympic athletes), but most (and especially regarding both Ukraine and Syria) were more like the opposite of the truth than the truth. As a consequence, most Americans are so misinformed, by now, so that only few are aware that even Western polling shows that if given a free and fair opportunity to choose their national leader today, Russians would overwhelmingly choose Putin, Assad would win strongly in Syria, and Yanukovych would win strongly if all of the Ukrainians in 2013 were to vote in an election between him and (America’s regime) Poroshenko (whose votes even outside of the two breakaway regions might still be fewer than Yanukovych’s). Furthermore, in the American ‘democracy’, the public’s approval of almost all elected national officials — President, and Congress — is below their disapproval-numbers, and, so, there’s only a choice here between uglies (except in a few states such as Vermont, where the public’s approval of the state’s congressional delegation is very high). Furthermore, the way that Obama overthrew Yanukovich in Ukraine by means of a coup, was that, starting in 2011, Eric Schmidt of Google and Jared Cohen of Hillary Clinton’s State Department began planning a social-media campaign to stir up and organize racist anti-Russians in Ukraine to be trained militarily in how to perform a coup, and the money then started flowing to enable them to provide the muscle to carry out their plan. These initial training sessions were called “Tech Camps.” All of this was the culminating part of what had been a $5 billion decades-long U.S. Government plan to take over Ukraine for the U.S. Nothing that the Russian Government is alleged by the U.S. Government to have done to “meddle” in any U.S. election is even nearly as barbaric an intrusion into U.S. elections as what the U.S. Government has been caught red-handed (just keep clinking through to all the source documents and evidence there, to see and hear that evidence) as having done, to end Ukraine’s struggling democracy, force the country’s break-up, and operate an ethnic-cleansing campaign in Ukraine’s former Donbass region, in order to kill the people who had voted for Yanukovych. How much of this has been reported in the American press? Of course, NPR, like the rest of America’s ‘news’media, had never reported the U.S. coup in Ukraine, but instead reported only the Obama regime’s propaganda, about the ‘democratic revolution’ that overthrew Yanukovych. In fact, even within just months of Yanukovych’s election in 2010 as Ukraine’s President, NPR was campaigning for him to be overthrown in a ‘democratic revolution’. The CIA-edited Wikipedia also doesn’t report that there was a coup in Ukraine in 2014; instead, they call it the “2014 Ukrainian revolution”. They call this a ‘revolution’, instead of a “coup”.